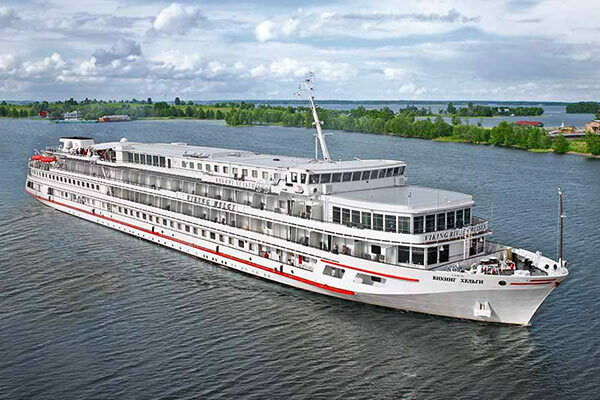 The revamped Viking Akun sails the Waterways of the Tsars itinerary. Not only will you enjoy guided tours and learn about current affairs, the Romanov Tsars, and the Soviet Union, but you can learn a little Russian, too. Additionally, you can attend a delightful Russian culinary workshop, enjoy Russian tea time, and be wowed by lively onshore music and dance performances. All staterooms offer river views with comfortable beds, modern bathrooms with a separate shower, and some have large picture windows that open, all the better for you to enjoy the fresh air. You’ll also enjoy free wifi, premium bath amenities, and daily bottled water. Your flat-screen TV offers CNN, BBC, local news, and plays the films of the region in which you’re traveling — in addition to the live view from the bow. If you’d like a robe and slippers, you have but to ask. Want the suite life? Suites offer panoramic windows, two flat-screen TVs, and a separate living room area. 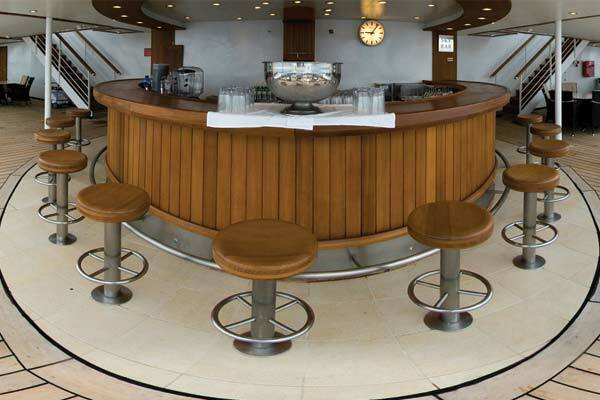 The open promenade deck on the Viking Akun is a welcoming place to meet new friends and take in the setting sun. 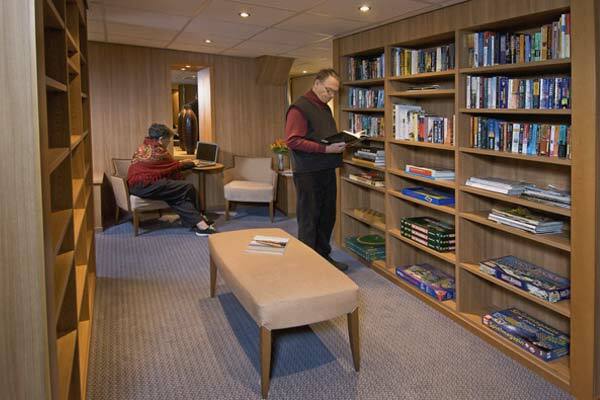 The sun deck offers a shaded area, so if you want to sunbathe or relax with a book, you have comfortable ways to do so. 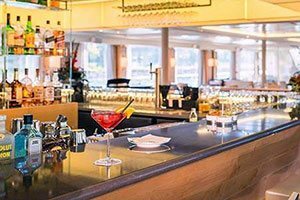 The Panorama Bar aboard the Viking Akun offers pours of your favorite beer, wine, and spirits as you watch the world drift by, and when you get hungry, The Restaurant serves up fresh ingredients, artfully prepared. 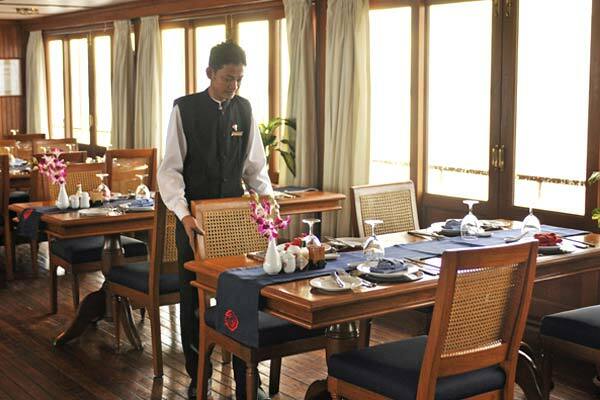 Your Viking journey is a result of Viking River'a love for what they do and their dedication to doing it right. Down to the smallest detail, on the most personal level, they are committed to giving you the ultimate travel experience. An intimate, understated, elegant onboard environment where you can relax Genuine, personalized attention - before, during and after each voyage Culturally enriching, authentic shore excursions that allow you to engage in destinations up close, in the company of an informed, local guide. The opportunity for unique and privileged access - including after-hours visits, special entries and previews of private collections - designed to get you closer to each destination. A bespoke Culture Curriculum: an enriching, immersive program of both onboard and onshore entertainment that includes insightful presentations, cooking demonstrations and regional folklore and musical performances; with books selected to inform and inspire. Custom-crafted itineraries specifically designed to give you more time in port, including the choice to venture off the beaten path Fine food and drink based on fresh, local ingredients, complete with regional specialties to engage your palate. Excellent service, with a personal concierge during each cruise so that you can visit those places you've always dreamed about. With the world's largest and best fleet of river cruise ships, more awards than any other river cruise line and choice in every aspect of your travels, Viking delivers remarkable value. Exceptional Accommodations aboard the newest, most deluxe river cruise fleet. Enjoy your choice of staterooms, including Suites, Junior Suites and staterooms with verandas and French balconies Attentive Service from their award-wining, English-speaking staff, plus the personalized assistance of your onboard Viking Concierge - so you're well taken care of. Enlightening Daily Shore Excursions, led by friendly, knowledgeable local guides utilizing a high-tech audio headset system - so you never miss a word. Engaging Cultural Enrichment with informative talks, performances, hands-on cooking and craft demonstrations, and much more. All Onboard Meals created by their Swiss-trained chefs, featuring fresh ingredients and regional specialty options, served in a variety of settings including the most al fresco dining available on the rivers. Deluxe Hotels for overnight stays during their pre and post packages, and land portions of their cruise tour itineraries. Inspiring destinations, thoughtful itineraries, immersive cultural explorations, state-of-the-art ships, fine cuisine, excellent service and remarkable value - crafted with personal attention to every detail. We call this the Viking Experience. It's the way your bartender has your drink prepared at just the right moment. The gentle guidance from your tai chi master during your lesson in China. Or the handwritten directions from your concierge to the oldest coffeehouse in Vienna. 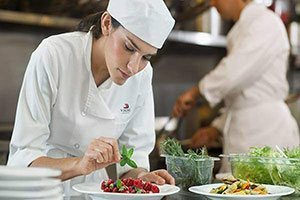 Every aspect of your time with Viking - from expertly prepared meals to carefully created enrichment programs and beautifully appointed ships - is planned to bring you closer to experiencing the most from your destination. By owning and operating their ships, no detail escapes their attention. It is what sets them apart from their competitors. And they never forget that looking after you well is how they became the world's leading river cruise line. It's why their guests return again and again. 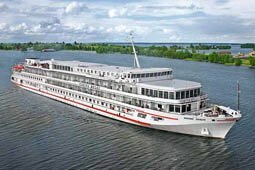 And why they have consistently been the most awarded river cruise line worldwide. Viking River knows that you travel to explore, to learn, to understand, to gain more insight and appreciation than can be obtained from simply passing through. 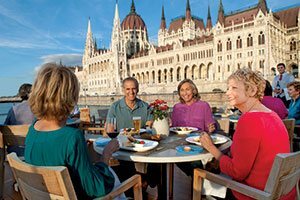 Whether it is castles and cathedrals, museums or outdoor markets, or a UNESCO World Heritage Site, when it comes to showing you the world Viking River is dedicated to delivering the extraordinary; with the opportunity to explore your way. Discover your Destination: Viking Rivers' daily shore excursions include must-see highlights and delightful surprises. These expertly guided tours bring you closer to the art, architecture, history and people of the land. Gain Greater Insight: Watch a local German glassblower or learn about French Impressionism. Viking River's Culture Curriculum, an enriching onboard program, infuses every cruise and brings history to life. Capture the Culture: Accompany Viking River on a shopping trip to the local market. Walk through the door of a centuries-old cathedral or visit a contemporary art museum. Meet local fine food and wine purveyors. 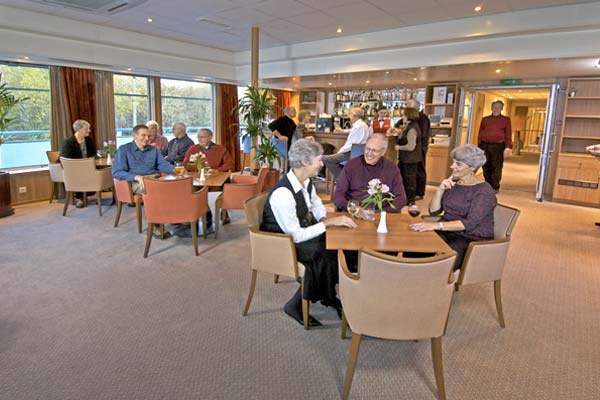 Viking River's tastings and demonstrations expand your mind and satisfy your senses. Explore Ashore: Have you yearned to visit the vaults of the famed Hermitage Museum? Attend a classical concert in Vienna? Enjoy a Tang Dynasty dinner show in Xian? Your Program Director can organize a variety of optional tours. Can a reservations agent make booking your journey a pleasure? Will a waiter learn the name of your favorite wine, remember your food preferences and tailor his service to you? Is it possible for a concierge to feel like a close friend? Yes, if that team works for Viking. When you have the best people, you have the best service - and Viking has both. From stateroom stewards to waiters to program directors, our English-speaking staff is trained to the highest standards. Superb Service At Viking, they have almost 3,000 of their own staff worldwide, all devoted to making your stay aboard the most memorable possible. The Viking River Cruise ships are small and intimate, and every member of their crew is dedicated to personally hosting you. 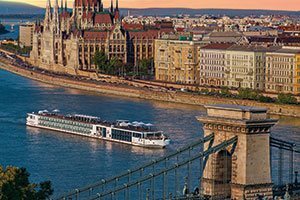 Viking is so confident they will exceed your expectations that they are the only river cruise company to guarantee their award-winning service. Personalized Attention From the moment you first plan your journey to the time you return home, Viking's staff takes care of you. They are the reason why Viking has won more consumer and industry awards than any other river cruise line. And why their guests have awarded them a 99.6% customer satisfaction rating, saying that they have met or exceeded their expectations. Friendly Smiles, Familiar Faces Loyal members of the Viking family, their staff returns year after year.